We want to let you know about a new season of exciting autographed book opportunities that Books, Bytes & Beyond will be offering in the upcoming weeks. The authors featured below will be visiting schools this fall but we are able to extend this autograph opportunity to our e-newsletter, Twitter and Facebook subscribers. 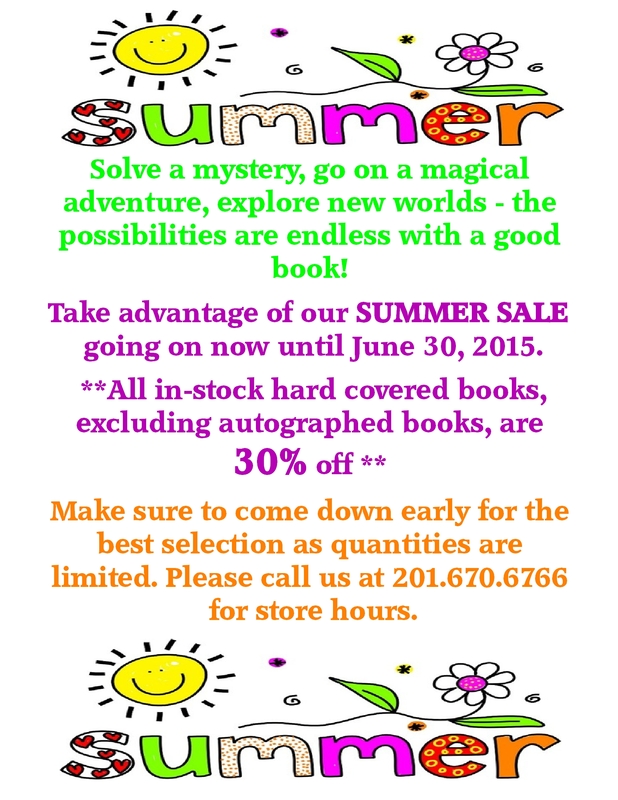 Make sure to like us on Facebook and follow us on Twitter to see the very latest happening at Books, Bytes & Beyond! If you wish to pre-order an autographed copy of any of the books that are featured below, please feel free to call us at 201.670.6766 for additional information. 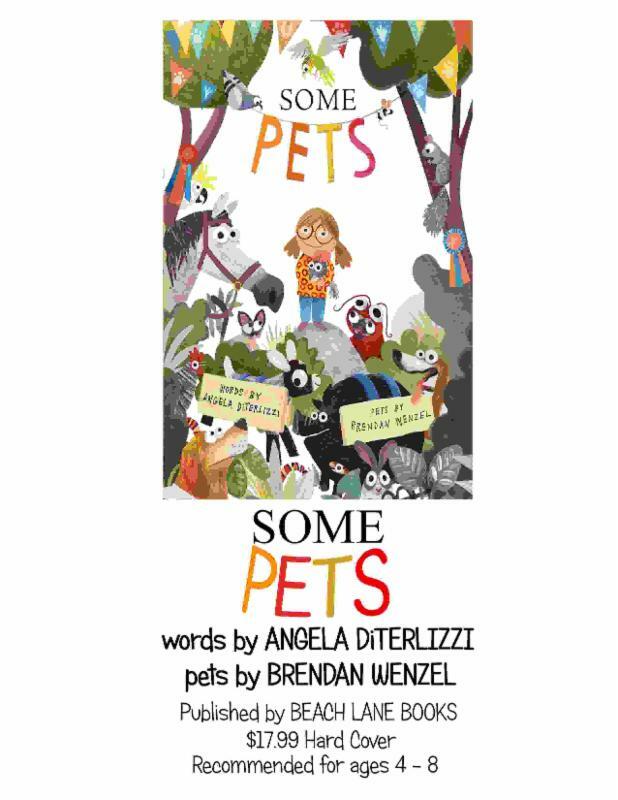 Children’s author Angela DiTerlizzi and children’s illustrator Brendan Wenzel will be signing copies of their new book, SOME PETS. Autographed copies will be available on Wednesday, September 28. And some pets play.Come one, come all, to the pet show! With dogs and cats, horses and chickens, hamsters and chinchillas-and many, many more!-this book celebrates animal companions of all shapes and sizes. Who will take home the coveted Best in Show ribbon? Join the fun to find out! 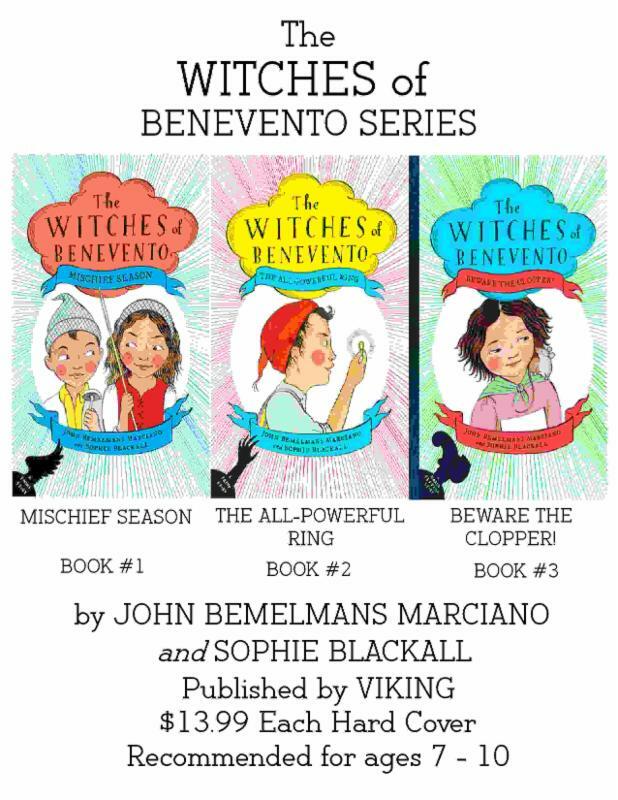 Best selling children’s author John Bemelmans Marciano and award winning children’s illustrator Sophie Blackall will be signing copies of their new series, The WITCHES of BENEVENTO. Autographed copies will be available on Thursday, September 29. Welcome to Benevento, an ancient town famous for its witches! The children of Benevento have to be careful and clever to evade the clutches of such witches as the Manalonga, the Janara, and the Clopper, who hide in wells and under bridges, fly at midnight, and play tricks during Mischief Season. Five cousins – Primo, Emilio, Rosa, Maria Beppina, and Sergio – share adventures and narrow escapes, and discover astonishing secrets as they outwit the witches in each exciting story. 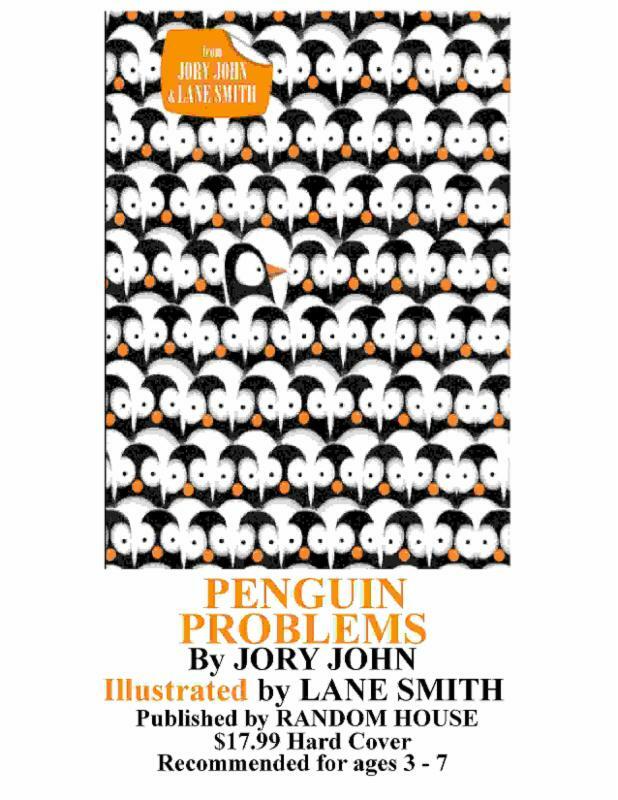 Award winning and best selling children’s author Jory John will be signing copies of his new book PENGUIN PROBLEMS. Autographed books will be available on Monday, October 3. A penguin levels with human readers about what penguin life is really like-and it isn’t all fun and games. A hilarious first collaboration from Jory John (All my friends are dead. and Quit Calling Me a Monster!) and Lane Smith (The Stinky Cheese Man and Other Fairly Stupid Tales). Have you ever considered running away to Antarctica? Of course you have! Because it’s a land free of worries and responsibilities! All of your problems will surely be blown away by the icy winds of that lawless paradise!… Won’t they? Think again, my friend. This penguin has come to tell you that his life down there is no more a picnic than yours is here. For starters, it is FREEZING. Also, penguins have a ton of natural predators. Plus, can you imagine trying to find your mom in a big ol’ crowd of identical penguins? No, thank you. Yes, it seems there is no escaping the drudgery of your daily grind, whatever it might be. Or perhaps we’ve just learned that grumps are everywhere. . . .
We want to let you know about an exciting autographed book opportunity that Books, Bytes & Beyond will be offering this Spring. The author featured below will be visiting schools in the upcoming weeks but we are able to extend this autograph opportunity to our customers. If you wish to pre-order an autographed copy of the book featured below, please feel free to call us at 201.670.6766 for additional information. 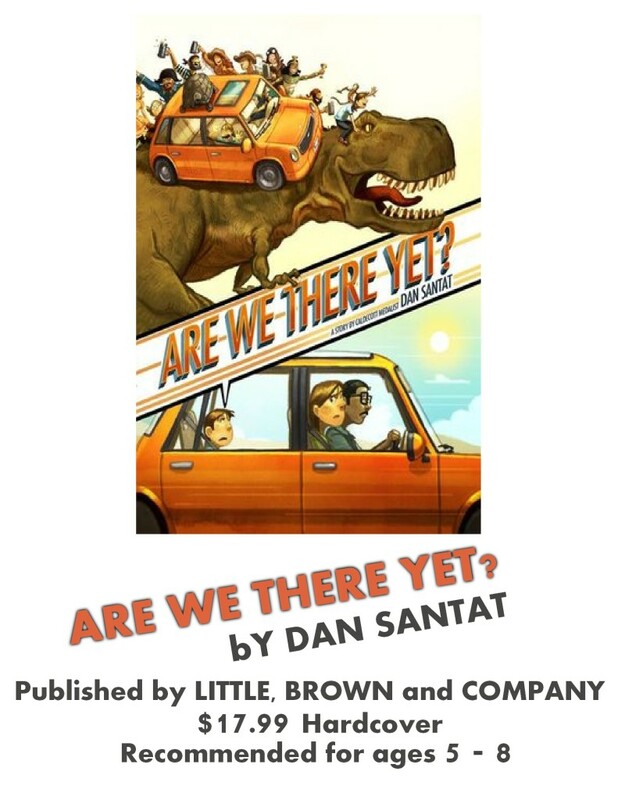 Caldecott Medalist Dan Santat will be signing copies of his new book, ARE WE THERE YET? Autographed copies will be available on Monday, April 18. 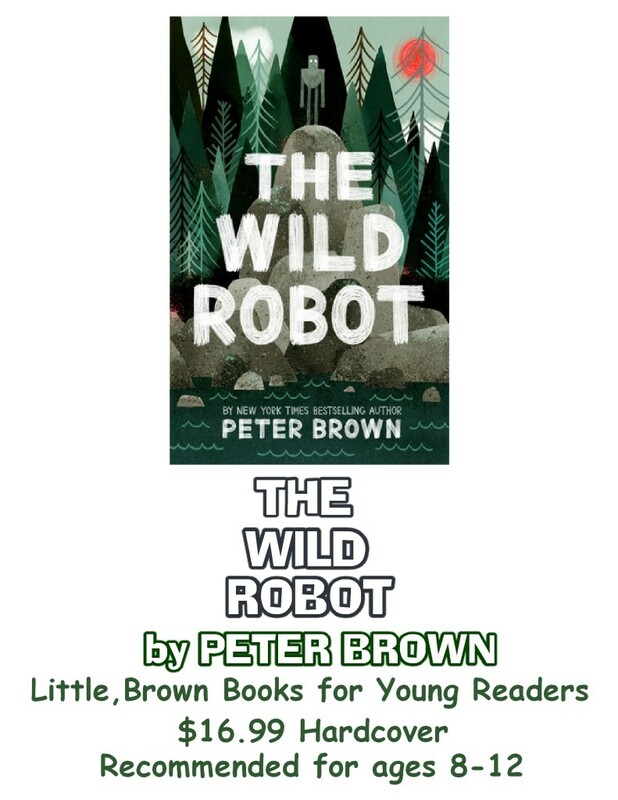 “Are we there yet?” Every parent has heard this classic kid question on a long car ride–and after reading this astonishingly inventive new book (that even turns upside down for several pages! ), you’ll never look at being bored the same way again. Let’s face it: everyone knows that car rides can be boring. And when things get boring, time slows down. In this book, a boy feels time slowing down so much that it starts going backward–into the time of pirates! Of princesses! Of dinosaurs! The boy was just trying to get to his grandmother’s birthday party, but instead he’s traveling through Ancient Egypt and rubbing shoulders with Ben Franklin. When time flies, who knows where–or when–he’ll end up. Each child develops the skill to read on his or her own schedule. Some 5- and 6-year-olds might be reading independently while others are not quite there yet. Brightly , along with the help of a group of developmental and literacy experts, has developed a list of 50 books that include Picture and Poetry books, Beginning Readers and Early Chapter Books. All of these titles were carefully selected to help foster a child’s love of reading. Mary Brown, owner of Books, Bytes & Beyond, is one of the experts selected by Brightly to help develop this list.